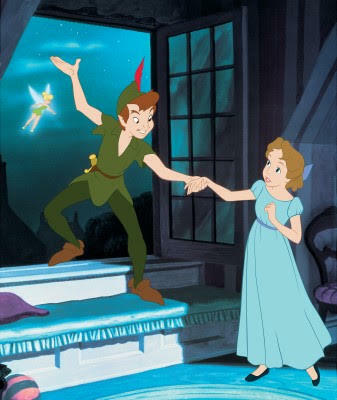 The character Wendy in Disney's Peter Pan is one of the very few females in the movie. Yet she made her mark by taking charge and caring for Peter, the lost boys and her brothers. 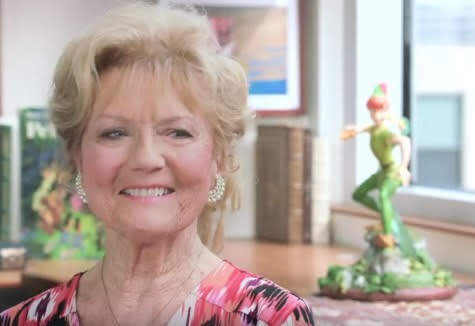 Since Wendy was such a dynamic part of the Neverland adventure, I looked forward to interviewing Kathryn Beaumont (voice of and live-action reference model for Wendy) to celebrate Peter Pan Signature Collection release on Digital and Movies Anywhere and on Blu-ray June 5. You can hear Wendy (Kathryn Beaumont) and John (Paul Collins) sharing what is was like filming on set in an all-new video clip in celebration of the 65th Anniversary of Peter Pan! In 1983 she returned to Disney to resumed her voice-over career recording as Alice and Wendy for theme parks, attractions, video games and television programs. As you can see, Kathryn has a long connection with Peter Pan and The Walt Disney Company. I couldn't wait to hear what she had to share about working on the film. Kathryn Beaumont: Actually, I didn't give that any thought at the time I was playing the role. These roles were both classics and was loved from way back, from before I was born. I grew up with those wonderful stories and enjoyed them immensely. I felt particularly honored I was chosen to play the voice of Wendy in the Disney version of these wonderful stories. Then I got to do the live action. Those were some exciting times because I got to do both types of things. I was a lovely experience. Did you have to prepare for the voice work for Wendy in Peter Pan? Kathryn Beaumont: No, I was given a script for the voice part and we did the recording for the voice. Since I had the script, I had prior knowledge of what the scene would be about. A few weeks afterward came the live action, which was like doing a film. They setup one of the stages but nothing complicated. There wasn't alot inside the studio, just boxes and different things. You pretended about the characters we were taking to and all of that. Do you have a favorite scene in "Peter Pan"? Kathryn Beaumont: Well, I thought the flying scenes were fun, after I got used to being afraid of being up high and looking down from the rafters above the stage. I enjoyed that. Why do you think families continue to enjoy Disney films like "Peter Pan"? Kathryn Beaumont: I think families will continue to enjoy because Disney films are timeless and the talent that went into making these films are very special. It's wonderful to see the talent and work they did in an earlier period that still resonates. They're enjoyable as classic films.